Tarin’s quest to save Mammoth Clan seems increasingly out of reach. Badly injured while fleeing the savage Boar Clan, Tarin and the twins face certain death as the harsh Winter descends. But an unexpected refuge not only saves their lives but offers new friends, and Tarin finally realises his greatest wish. When Spring comes, will Tarin have the strength to leave and continue his dangerous journey? 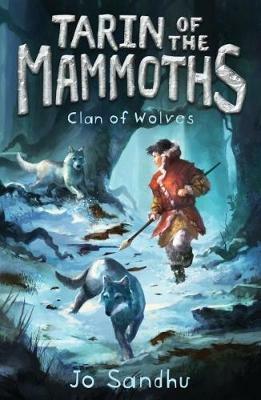 Tarin of the Mammoths is a thrilling Stone Age epic for ages 8-12. For fans of Michelle Paver's Chronicles of Ancient Darkness and the Spirit Animals series comes the third book in this exciting new Stone Age series, perfect for middle readers.